Creating and editing your videos and photos with an SSD drive will save you time. With direct and fast control of your videos allowing you to cut time editing, leaving you more room for filming and editing. My Passport SSD is designed for the creators on the go but great for all users. The NEW My Passport SSD is portable storage with blazing-fast transfers and password protection plus hardware encryption that helps keep your content secure. Automatic backup: Included WD Backup software makes it easy to automatically back up high-capacity files to your drive or Dropbox cloud service account. 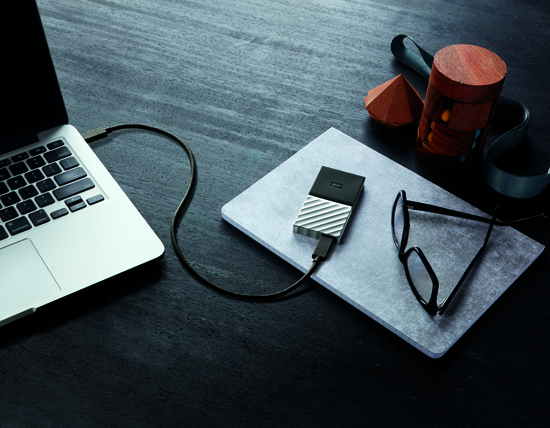 The My Passport SSD is the fastest My Passport drive to date with speeds up to 515MB/s using the USB Type-C port to rapidly transfer data. Its speed also gives great performance to help run virtual machines on your computer. Built for Mac or PC, the My Passport SSD is compatible with USB Type-C and USB Type-A ports. It’s Type-C ready to reach speeds up to 515MB/s. Also, USB 3.1 Gen 2-ready, and USB 3.0, USB 2.0 and USB-A compatible. 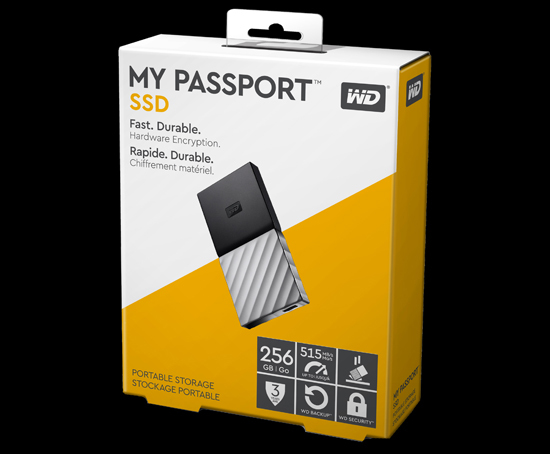 Store growing content on the My Passport SSD to alleviate limited internal storage space. Set a password to help keep it protected with built-in 256-bit AES Hardware Encryption with WD Security software. 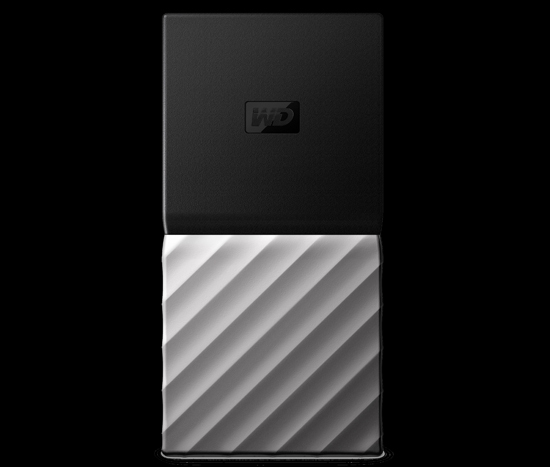 Built to withstand a drop up to 6.5 feet (1.98 metres), My Passport SSD is engineered from the ground up by Western Digital. This trusted drive is quality inside and out. Included WD Backup software makes it easy to automatically back up high-capacity files to your drive or Dropbox cloud service account. Just set it and forget it. Compatible with Apple Time Machine (requires reformatting). My Passport SSD portable storage is ready to use out of the box. Whether backing up work docs or saving personal memories, plug it in and start transferring files right away.